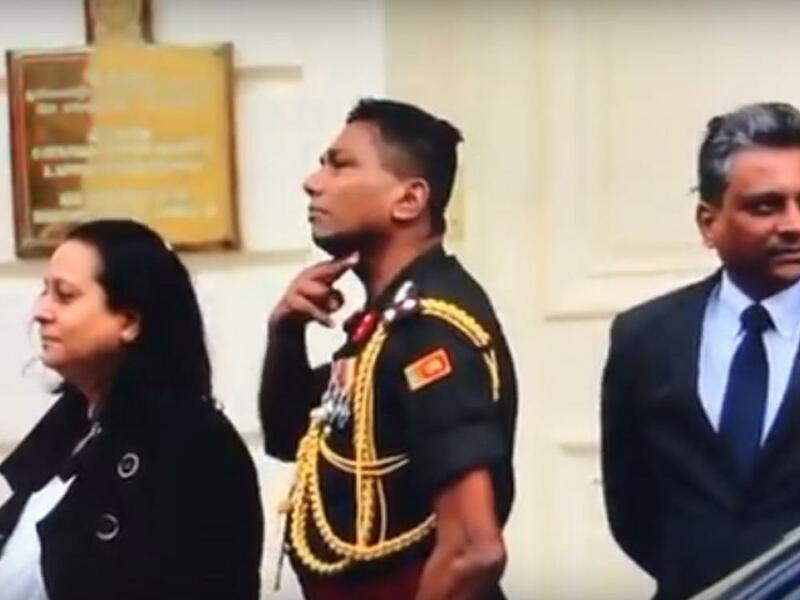 The Westminster Magistrate’s Court has issued an arrest warrant for Brigadier Priyanka Fernando of the Sri Lankan army earlier today, having found him guilty of committing public order offences whilst stationed in London. Fernando was found guilty of violating sections 5 and 4A of the Public Order Act, with the court stating that his actions were threatening, caused harassment, and that he intended them to be so. The court also heard evidence of how the three Tamils who filed the case were threatened by Sri Lankan authorities after the incident last year. Sathiyamoorthy also received threats by phone from callers who withheld their number, and had 200 missed calls one night, reports the Morning Star. The callers reportedly spoke Sinhala. Other Tamils who testified said their family in Sri Lanka had been threatened by authorities over the case. Another witness told of how plainclothes intelligence officers visited his family in Sri Lanka, and warned that he would be killed if he were to ever return. 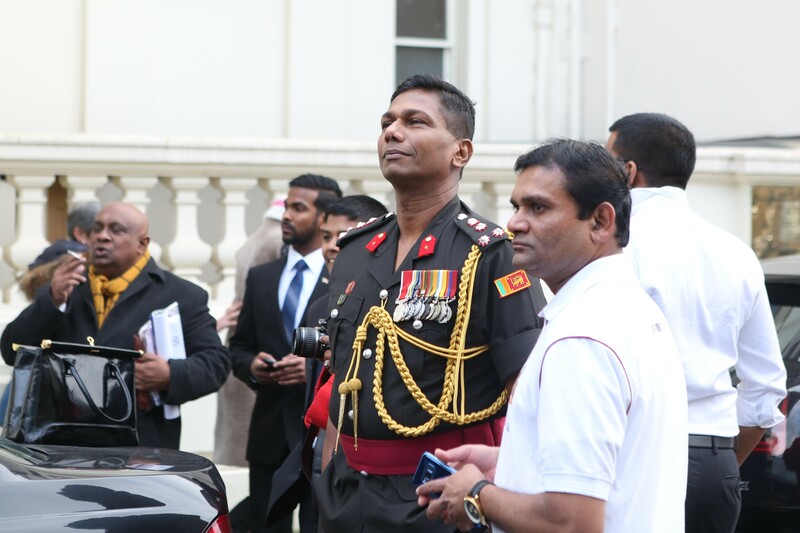 The brigadier, who was stationed in Britain as Sri Lankan military attaché at the time, was tried in absence, with the Public Interest Law Centre stating that Fernando was “served with the bundle, documents, evidence, months before the prelim hearing”. “Then months before served with the hearing date.... and apparently [he] chose not to attend,” it added on Twitter. Chief Magistrate Sonia Henley said she was “satisfied every effort had been made” to serve the charges on him, during Monday’s hearing. Lawyers from the Public Interest Law Centre (PILC), who acted on behalf of the complainant, told reporters outside the court that they would now look to ensure that Fernando is brought to the UK to face justice. "PILC and the private prosecutors will be appealing to relevant members of parliament to ask questions from both the foreign secretary and the home secretary to see what steps they can take to make connections with the Sri Lankan government and ask for him to be brought back to UK and to face justice to the public order offences that he's been found guilty of," Solicitor Paul Heron told JDS. The Sri Lankan military responded to Monday’s developments however by dismissing the outstanding warrant. "We are not concerned over such media reports. If we receive an official notification then we shall act accordingly," he added. Fernando also led troops in a military offensive in 2009 that massacred tens of thousands of Tamil civilians. He was also part of the 59 Division of the Sri Lankan military, implicated in the shelling of hospitals south of Mullaitivu. See more from the Morning Star here, JDS Lanka here and the Sunday Times here.